The Community Doula Connection is a non-profit organization that will connect low income and high-risk individuals and families with experienced birth and postpartum doula support. We will offer holistic, anti-oppressive and trauma informed training to fully equip our doulas so that they can provide specific and specialized support for these families. Furthermore, we will compensate doulas fairly for their work rather than relying on them to volunteer or work at reduced rates. The vision of the Community Doula Connection is to train doulas with the skills to be able to identify and meet the needs of each unique family, including the ability to refer clients to partnering agencies and other resources in the community. The care will encompass an awareness and sensitivity around trauma, addictions, violence and abuse, mental health barriers, cultural diversity, sexual-orientation, gender identification, physical (dis)ability, and socio-economic status. In order to embody a feminist philosophy of treatment, a holistic and anti-oppressive care model is needed to fully support women through the entire birthing process. With feminist therapy arising in response to the psychological distress that women have experienced, support and counselling of women must demonstrate an anti-oppressive, inclusive, and empowering approach that strives to dismantle power dynamics prevalent in the mainstream medical model. With this as our compass, the Community Doula Connection intends to offer families a continuity of care model similar to that of the midwife led continuity model from the UK, which includes: “continuity of care throughout pregnancy, birth and the postnatal period; providing the woman with individualised education and counselling; being cared for by a known and trusted midwife during labour; and the immediate postpartum period; and identifying and referring women who require obstetric or other specialist attention“. The Community Doula Connection intends to provide: a minimum of two prenatal visits, attendance at labour and birth, and at least ten postpartum care visits, spread out over 6 months. What separates the Community Doula Connection from other low/no cost doula organizations is the specialized training provided so that doulas are able to identify and meet the needs of each unique family. Unlike other organizations we will not rely on new doulas to volunteer their time. Though it is useful to have a confidant in birth, we feel that it is essential to have an experienced support person working with individuals and families who require a higher level of care. We invite experienced doulas to enhance their training with us. Along with this training, they will also receive coaching, mentorship, as well as feedback and support from the organization. This will provide doulas with an increased level of support so that they in turn, can offer support to the families that we work with. 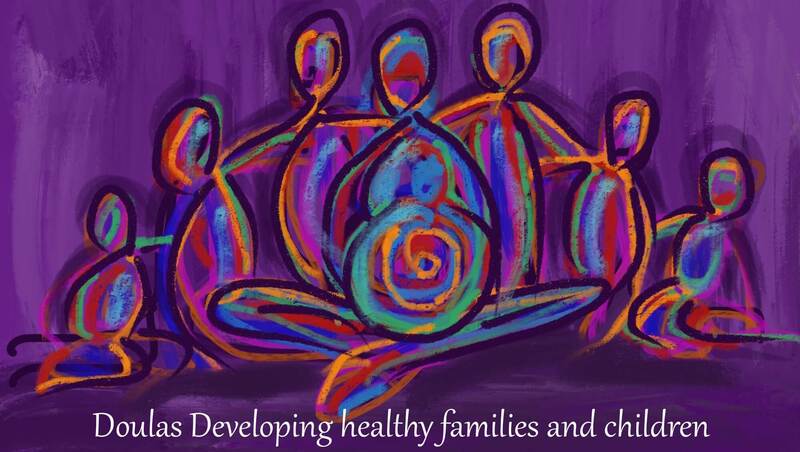 The Community Doula Connection will increase support for both families and doulas. Ultimately with this increased support mothers will have improved birth outcomes, children will have healthier outcomes for years ahead, and doulas will feel more informed and supported in order to extend that care out into the community. This Service is needed in our communities and is not currently available. We are a small group of people (A doula-artist, a doula-social worker, a doula-medical anthropologist-acupuncturist, a doula in training-BA Global studies) working hard to get this project running. If you are interested in getting involved or offering your support in the way of; financial assistance, working alongside our organization, or becoming a board member, please be in touch.